Lafayette County, home to Oxford and Ole Miss, has grown by 11.8 percent in the past four years making it the county with the most growth in Mississippi. The University population is expanding, bringing more full-time residents to the area to service them. New businesses have added to the growth. 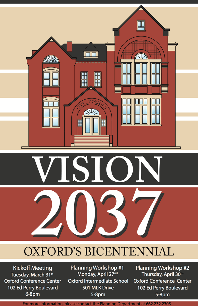 The City of Oxford recently launched an update to their long-range plans, called Vision 2037, which will guide the city planners over the next several years on issues such as transportation, community, land use, housing, preservation and more. This meeting took place last week. Two new meetings are scheduled to allow for public input.